NBC 6's Tony Pipitone reports on the recent 911 calls released by Coral Springs Police Department. The Coral Springs Police Department released more 911 calls related to the Parkland school shooting on Wednesday. One call involves a teenage girl that said she sees three people bleeding. Seventeen people were fatally shot at the school on Feb. 14. A full minute after the shooting started at Marjory Stoneman Douglas High School, a 911 dispatcher got the first call from inside the school. “Please help! Please help!” the young woman said quickly into the phone. The 911 operator asked if anyone was injured. “Yes! Yes! Lots of blood. Please help!” the teen said. 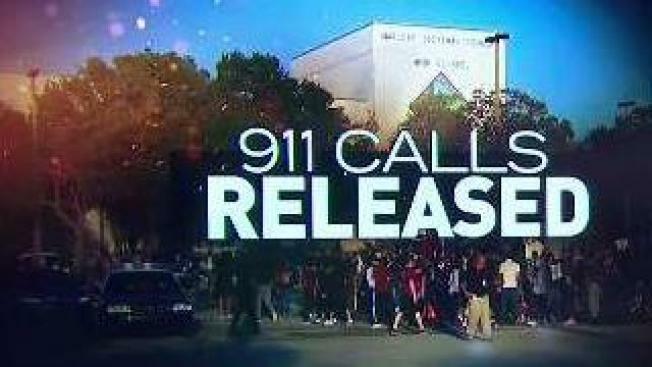 New 911 calls released Wednesday by the Coral Springs Police Department capture students and dispatchers uncertain about the shooter's location and ways to hide from him at Marjory Stoneman Douglas High School. Dozens of more calls poured into the Coral Springs Communication Center. Wednesday, Coral Springs released a few of the calls made by students and teachers in the school. The calls show the brave, but terrified voices of students who were trying to get help for wounded classmates. And the calls show the calm but caring voices of 911 operators having to maintain their composure as they heard the grisly details of the attack as it unfolded. 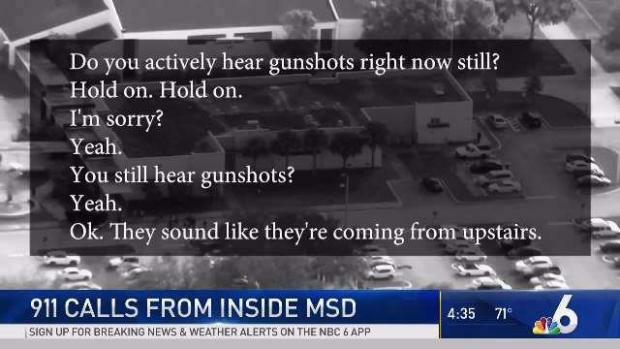 The 911 operators are heard trying to find out specific details about the shooter’s location. “Can you hear where the shots are coming from?” one operator asked. Students on the first floor described hearing shots being fired on a floor above them. The operators also tried to keep students helping their classmates. In one call that lasted more than 16 minutes, an operator talked to a girl who was helping a student who had been shot in the head. “Listen to me, he’s still breathing right?” the operator asked. “Don’t worry about the one across from you. Let’s focus on the boy next to you, ok?” the operator said. “I’m hyperventilating and freaking out,” the girl answered.